My old access points have stopped working! I thought this is the perfect moment to get my Google Wifi. I have read that its meshing technique is awesome, so I bought it from eBay, two days after, I had them. Sadly, my experience was not as good as the many posts I have read. 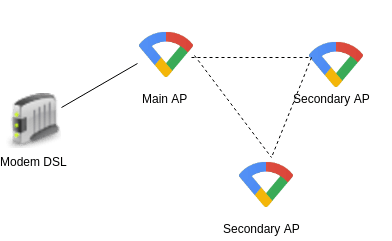 What is the Google Mesh? 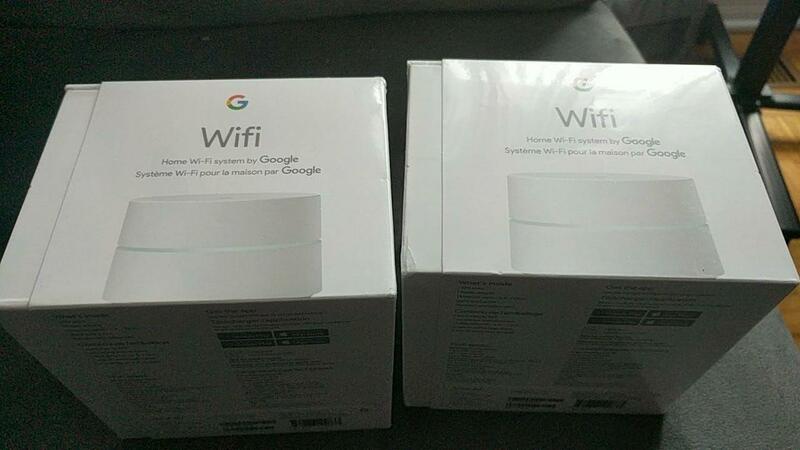 Google WiFi Mesh is just a set of access points communicating among themselves through a private wireless channel. I didn't spend time trying to hack that part; there are many articles on the network explaining that, and after establishing my mesh I realized how it works. The main access point is the only one that is plugged through a wire to the modem. The main access point is indeed a router; it supports to be plugged into a router or to a modem (PPPoE). In my case, I use PPPoE as I have my DSL modem in bridge mode. All secondary access points must be unplugged. As I have already said, they use a private wireless channel to communicate among themselves. So, when you link to a secondary access point, it forwards the traffic to the main one. The mesh uses a NAT. At this moment, the Google WiFi supports modifying the network addressing, static DHCP assignation and port forwarding. DHCP has some options to allow you to specify the range. However, I was not able to modify any of these parameters, after setting up the mesh my network addressing was forced to 192.168.86.0/24, main AP took the .1 IP and the DHCP range was set from .20 to .250. On the brighter side, now I had 2.4 MHz and 5 Mhz channels working without issues. Among other options: IPv6 ready and PnP ready as well. After all my network reconfiguration, my home had finally Internet with these new devices. Soon I started to have some complaints about the bad quality of the sound when calling through the VoIP or video conference. My SSH consoles got stuck and finally, after running a long ping test on an external server I was having more than 10% of lost packets! None of them is a smart workaround. I did reset my whole mesh twice without any success. I do not know if this is a bug or the fact that I had more than forty devices plugged, my theory is there was too much activity that the mesh couldn't handle it. Anyway, I gave up. I reset the Google WiFi access points, I set them in bridge mode and plugged my old router. The holy solution, the lost packets are gone for good. This tells me the bug has something to do with the router mode of these devices.